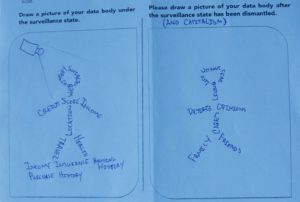 ODB has created a series of “tip sheets” that provide context and background about privacy issues faced by members of historically marginalized groups. Credit Score, Credit Report: What’s It Got to Do with Me? 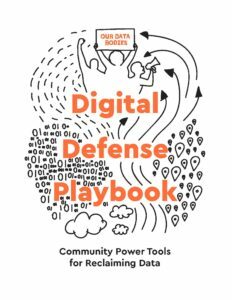 is part of this series and will soon be published as part of our forthcoming Digital Defense Playbook: Community Power Tools for Reclaiming Data. Credit scores are one of the most prevailing risk assessment tools in our society. Lending remains the main use of credit scores, and are a gateway to a mortgage, car loan, college loan, credit card, and more. You receive a score based on your credit report (see below). To lenders, a high credit score means you are a low risk, are likely to get a loan or other service, and will have lower interest rates or terms of repayment. A low credit score reads less favorably to lenders, which could result in not getting a loan or other services, or paying more for such services. In other words, people with “bad credit” may be charged a higher interest rate for any kind of loan, or denied a loan altogether. There are many problems with relying on credit scores for lending. The use of credit scores is precarious, lacks context, and can seriously injure those with bad credit. Moreover, bad credit or lack of credit history often results of from a history of structural discrimination. In a country like the United States, where medical bills add up rapidly, where racial and gender discrimination locks people out of opportunities, and where low-income people and families face expensive barriers to bettering credit, no or low credit scores can interfere and greatly affect your life. In cases where low credit scores result in a bank rejecting a request for a loan, many people turn to payday or quicker means of securing loans, which are often predatory in nature. These institutions charge incredibly high interest rates on even small amounts of money. Nowadays, cell phone providers, insurers, utility companies, and landlords use credit scores for non-lending purposes, including to set interest rates, determine the size of deposits, or decide whether one gets a contract. Renters with a low credit score may have difficulty renting an apartment. In some states, people with poor credit may have to pay a security deposit to get basic utilities like electricity, and some cell phone companies will deny people based on poor credit. For any person facing a poor credit score, the path forward is difficult, leading many to feel stuck in a vicious cycle. There is no one or “best” way to improve your credit. However, difficulty can arise when trying to improve credit with a less stable income; the demand of meeting certain financial responsibilities that are deemed as measures of good credit can prove to be difficult for many individuals. Low credit can spell high risk for employers, meaning discrimination against people with low credit scores can be high. In our current job market, credit reports loom large, and future and current employers frequently ask your permission to run a credit report check. Whether for a top-level job or entry level position, employers typically hire employee background check companies who purchase credit reports from anyone of the big credit reporting agencies: Experian, TransUnion, and Equifax. A credit report contains information such as your bill-paying history, length of your account with a company, any outstanding debt you have, any unpaid debts that have been registered with a court, any public record of having been sued, gone bankrupt, or failed to pay taxes (tax lien), and history of debt collection against you. Like the credit score, credit reports tie to a longer history of structural discrimination that includes predatory targeting of people for risky financial products (payday or short-term loans) and to limited opportunities to build or rebuild credit. On top of discriminatory and predatory practices that link to bad credit, credit reports suffer from inaccuracies, for example due to identity theft. 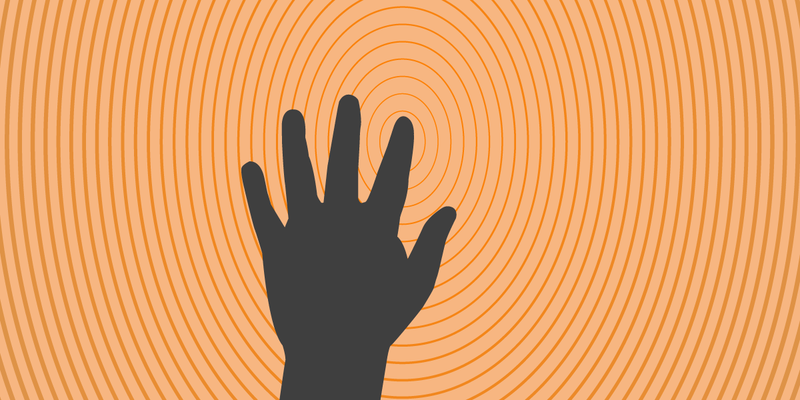 Inaccuracies or unidentified identity theft can leave some stuck in a loop of being denied a job. This explanation of facts and myths helps clarify what a credit report is, what it is used for, and what your rights are as an applicant and employee. I can be denied a job based on my credit report. Fact and Myth. You unfortunately can be denied a job based upon your credit history in 39 states. This generally is expressed in a written letter. 11 states (California, Connecticut, Hawaii, Illinois, Maryland, Oregon, Vermont, Delaware, Nevada, Colorado and Washington) all ban the use of credit as a discriminating or evaluating factor in employment practices (but can still request and pull your credit history). Therefore, the myth is that in 11 states, you cannot be legally discriminated against for your credit history in employment processes. I have to give my permission to an employer to running a credit report check. Fact. Under the Fair Credit Reporting Act, employers must obtain written consent from you as an employee or applicant to run a credit report check. “Bad credit” or lack of credit affects 50% of Americans. Fact. According to the Consumer Financial Protection Bureau, 26 million adults in the US do not have established or documented credit history with the three major credit reporting agencies mentioned above. Additionally, over 50% of the American population have sub-prime credit scores (scores under 720) and one in three have a score lower than 630. I shouldn’t apply for a job if I think my credit will be a problem. Myth. In 11 states in the US, there are state laws that restrict or attempt to limit the use of credit reports in the employment process. However, if a credit report check is run in state in the United States, the employer must notify you of what is called “adverse action” where they will terminate the application due in part to one’s credit history. Applicants can then dispute this if they feel their credit report isn’t correct. Some background checks companies that run credit reports allow users to add context notes as well visible to the employer, allowing applicants to give context to something that could be potentially considered a red flag. Credit reports are good way to assess my employability. Myth. Bad credit can be difficult to improve. Fact. Say your family experiences a medical emergency and your healthcare does not cover it all. 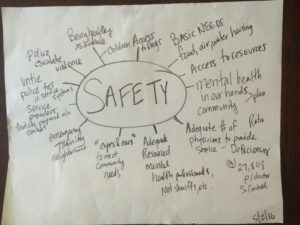 Say you’re someone who has experienced violence (especially as a woman) or someone who has developed a condition that requires regular hospital visits. If you do not have the resources to pay these bills upfront, the outstanding debt with medical institutions can take a toll on your credit. Means of improving credit through obtaining better credit can also be difficult in that higher interest rates may accompany a loan or credit card. Employers see my credit score. Myth. When an employer conducts a credit check, they do not see your credit score. Rather, they access your credit report, which details your credit history such as loans or bankruptcy.